HARRIS ~ Joenathan Harris, Jr., affectionately known as Joe, Junebug, Uncle Joe, and Uncle Poppa was born January 17, 1953 in Moultrie, Georgia to the late Joenathan Harris, Sr. and the late Nellie Grace Clark. He accepted Jesus as Lord and Saviour at an early age and was baptized at St. Mary Missionary Baptist Church in Bradenton, Florida. As a youth, Joe enjoyed singing and serving in various Church auxiliaries, thus, The Biblical foundation was laid and would have a far-reaching impact later on in life. He attended public school in Manatee County, graduating from Manatee High School at the age of sixteen in 1969. While achieving high academic standards at Manatee High School, he also participated on the wrestling team and ascended to State Champion. He held the record for fastest pin in Greco-Roman style wrestling at 17 seconds, a record which remained for several years. After graduation, he furthered his education at Manatee Community College, broadened his scope of life, then sought gainful employment holding various occupations at Florida Power & Light, Wellcraft, and as an Insurance agent. In addition, Joenathan served honorably in the United States Army acquiring valuable knowledge, skill, and discipline that would enhance future endeavors. On July 10, 1971, Joenathan married the love of his life, Brunette Delois Nelson. This union was blessed with nine children, thirty grandchildren, and nine great grandchildren. As a loving, devoted husband and father, he guided his family with an iron hand in a velvet glove determined to impart knowledge, skill, integrity, character, and uncompromising loyalty to family. Ordained as a Deacon, he served at Mt. Olive Missionary Baptist Church (Palmetto, FL) and Bell's Temple C.O.G.I.C. 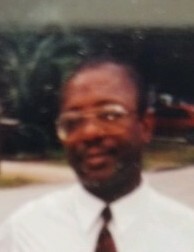 In subsequent years he was Ordained as Elder while serving at New Covenant Church of Central Florida and later at Sword of the Word Evangelistic Ministry in East Point, GA. Joenathan was a kind and caring man who not only cared for his immediate family but also took the time to counsel and mentor others. Nephews, nieces, co-workers, and friends alike were all beneficiaries of his wisdom and guidance during difficult times. His passion for others was overshadowed only by the love and zeal for Christ. He leaves to cherish his precious memory, his children, sons, Eugene Harris (JoAnn), Bradenton, Florida, Joenathan Harris, III, Palmetto, Florida, John Michael Harris (Rodtrisa), Atlanta, Georgia, Edward Harris (Kristen), Newport, Tennessee, James Harris, Orlando, Florida, Keith Lamar Harris, Jacksonville, Florida; daughters, Lydia Elizabeth Harris-Cromity (Mario), Orlando, Florida, Rochelle Harris-Holmes (Jason), Orlando, Florida, Nicole Grace Harris, Orlando, Florida; brothers, Gregory Keith Harris, Santa Ana, California, Fredrick Harris (Crystal), Minneapolis, Minnesota, Dwayne Harris, Minneapolis, Minnesota; sisters, Patricia Harris, Minneapolis, Minnesota, Marie Harris, Minneapolis, Minnesota; uncles, Frank Clark (Lillie Mae), Sarasota, Florida, Dennis Clark (Linda Bernice), Atlanta, Georgia; aunts, Pearl Gordon, Meridian, Mississippi, Mary Newton, Slidell, Louisiana; a host of loving nephews, nieces and friends. He was predeceased by his wife, Brunette Delois Harris.